Wholesale case of 80 books. This Knowledge is the king of education, the most secret of all secrets. It is the purest knowledge, and because it gives direct perception of the self by realization, it is the perfection of religion. It is everlasting and it is joyfully performed. In the material world there are so many gradations of education. Some people never finish grammar school or high school, whereas others go on and receive a university education, a BA, MA, PhD, and so on. 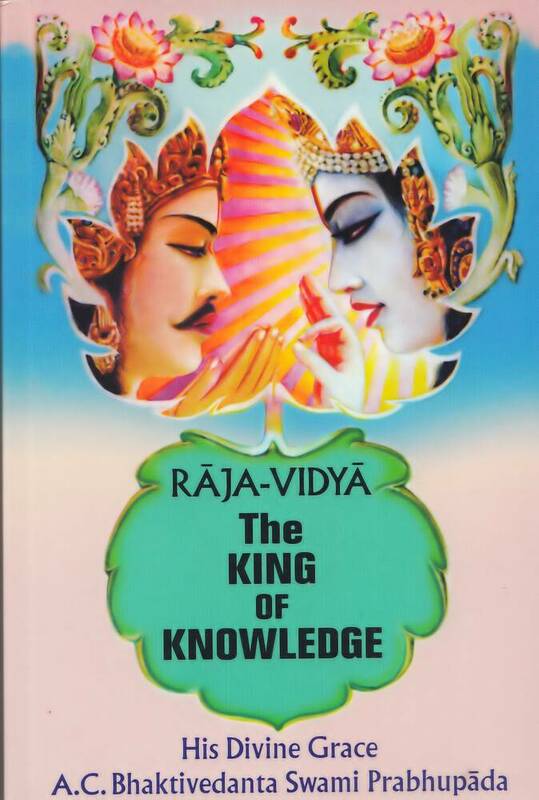 But what is this raja-vidya, the king of education, the summum bonum of knowledge? It is Krishna consciousness. Real knowledge is understanding "what I am." Unless we come to the point of understanding what we are, we cannot attain real knowledge. When Sanatana Gosvami left his government post and came to Caitanya Mahaprabhu for the first time, he asked the Lord, "What is education?" Although Sanatana Gosvami knew a number of languages, including Sanskrit, he still inquired about real education. "The general populace calls me highly educated," Sanatana Gosvami told the Lord, "and I am such a fool that I actually believe them." The Lord replied, "Why should you not think you're well educated? You're a great scholar in Sanskrit and Persian." "That may be," Sanatana Gosvami said, "but I do not know what I am." He then went on to tell the Lord: "I do not wish to suffer, but these material miseries are forced upon me. I neither know where I've come from nor where I'm going, but people are calling me educated. When they call me a great scholar, I am satisfied, but in truth I am such a great fool that I know not what I am." Sanatana Gosvami was actually speaking for all of us, for this is our present situation. We may be proud of our academic education, but if asked what we are, we are not able to say. Everyone is under the conception that this body is the self, but we learn from Vedic sources that this is not so. Only after realizing that we are not these bodies can we enter into real knowledge and understand what we actually are. This then, is the beginning of knowledge.